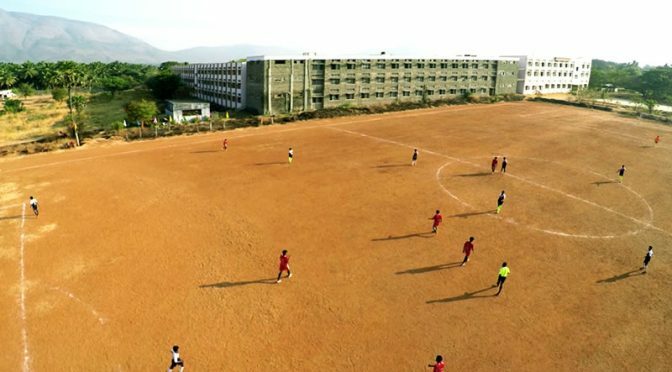 Our college gives equal importance to physical education on par with curricular education. 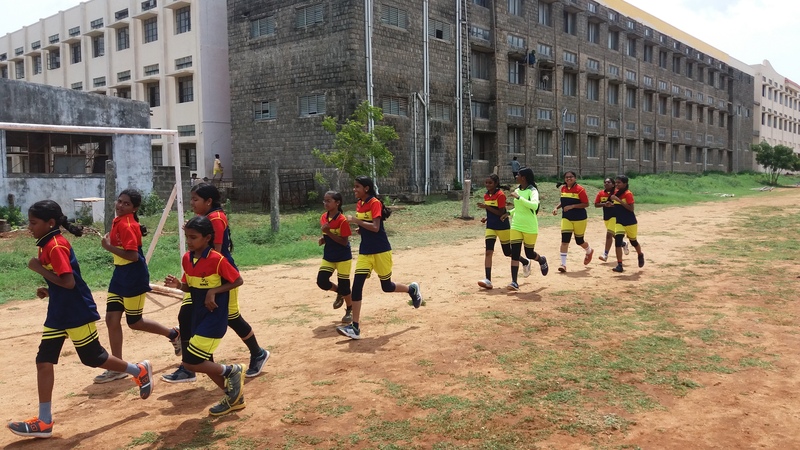 The Department of physical education has been doing a wonderful service in the field of sports and games since 1994. 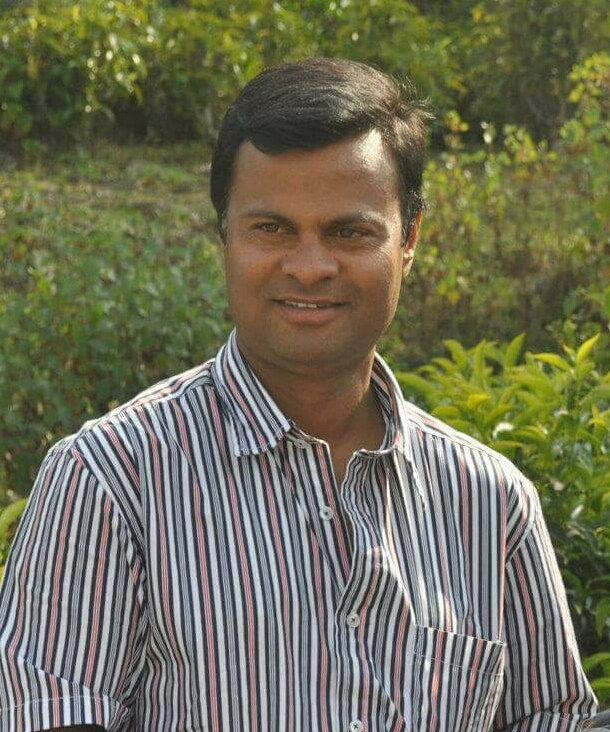 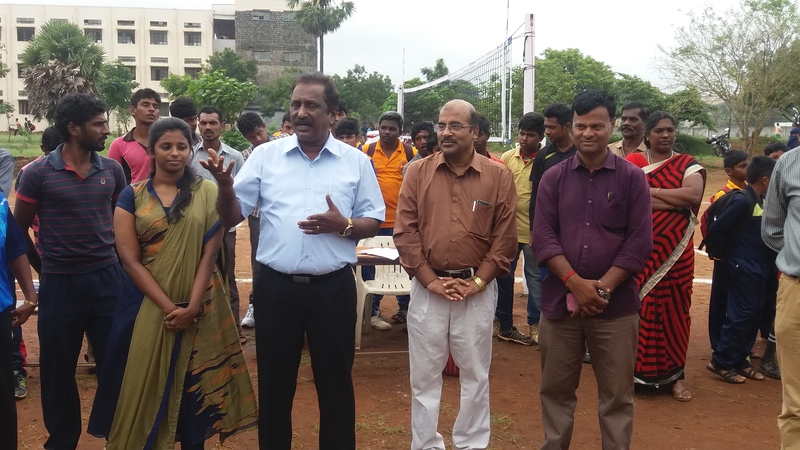 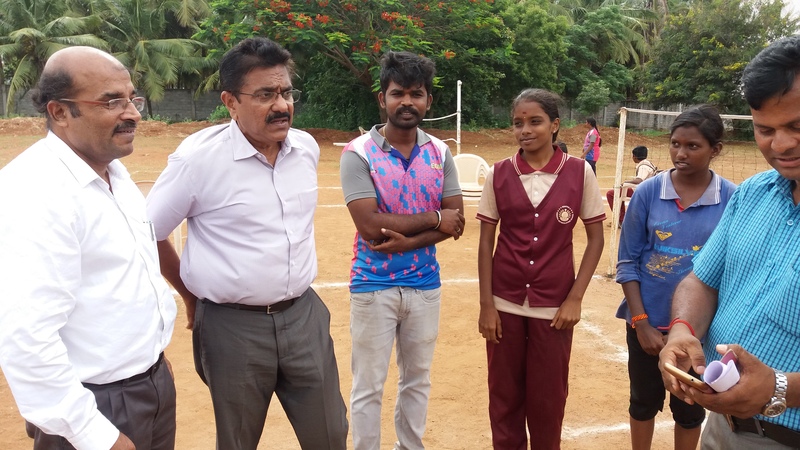 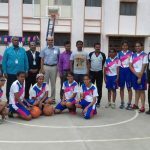 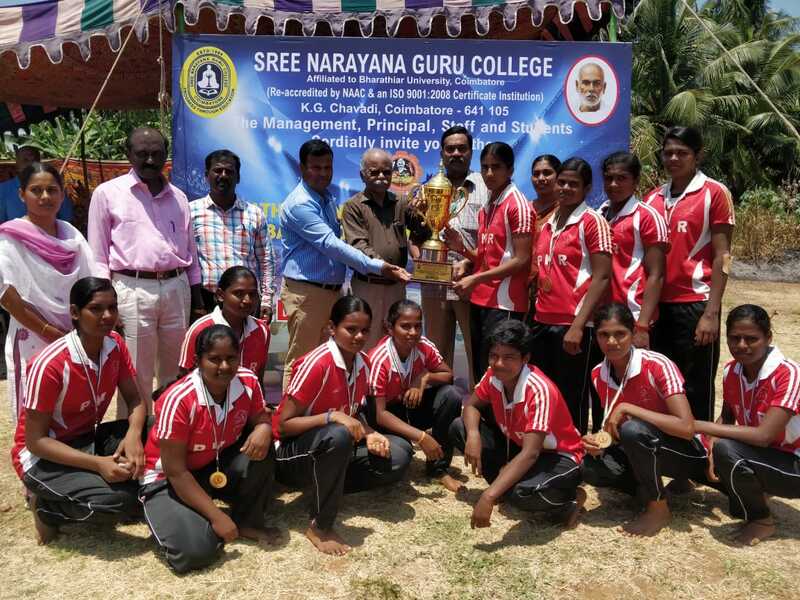 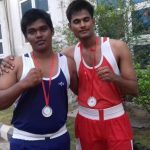 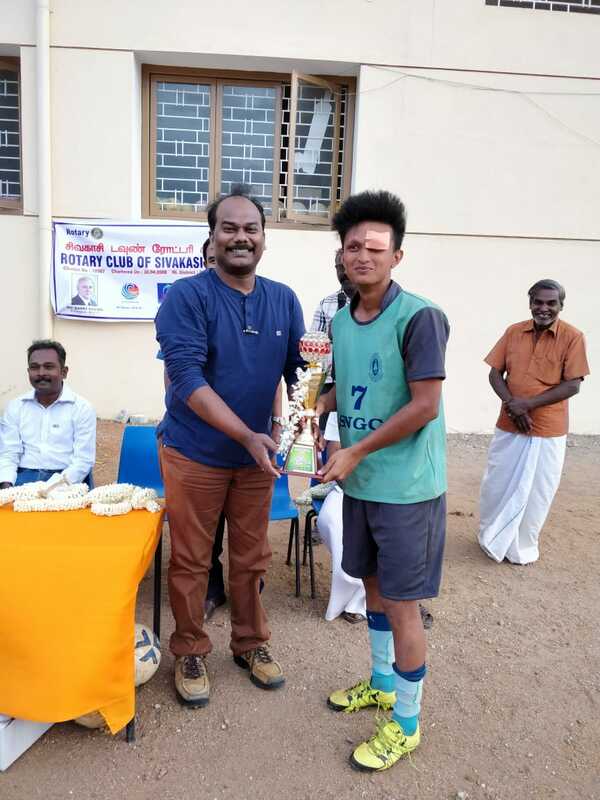 The Department is headed by Mr.R.Jeyaprakash as the Director of Physical Education, who guides the students to attain the great achievements and is assisted by Mr.R.Sreedhar, Assistant Physical Director. 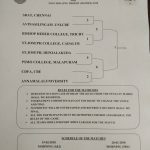 Qualification : BSC,MPED, M.Phil , (P.hd). 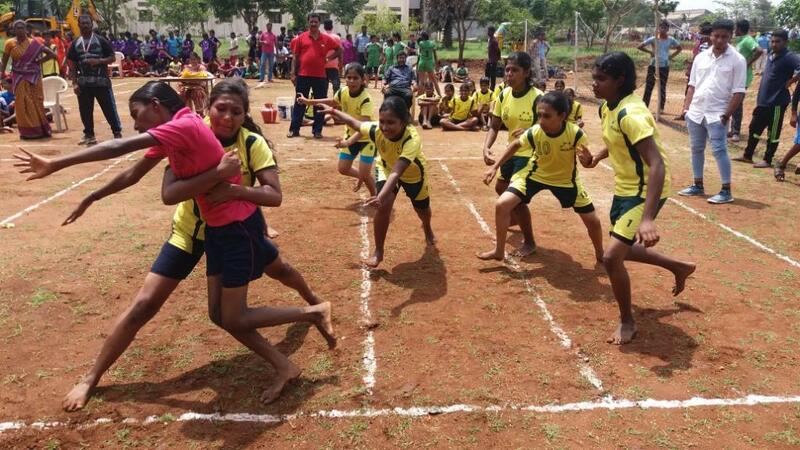 Sports play an important role in the life of students which make man perfect. 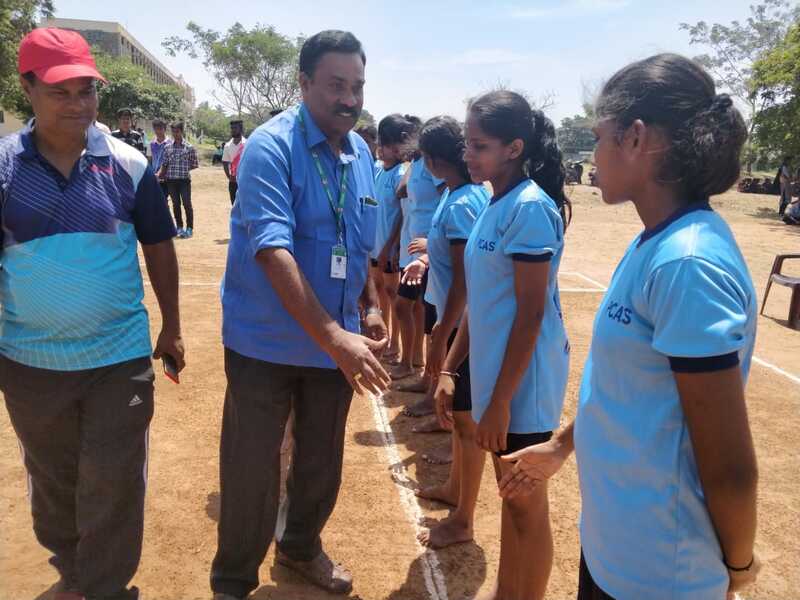 Our students are coached and trained in various games such as Football, Kho Kho, Cricket, Kabaddi, Volleyball, Handball and Table Tennis, in addition to athletics such as walking, running, jumping and throwing events. 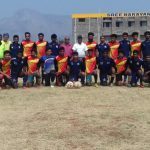 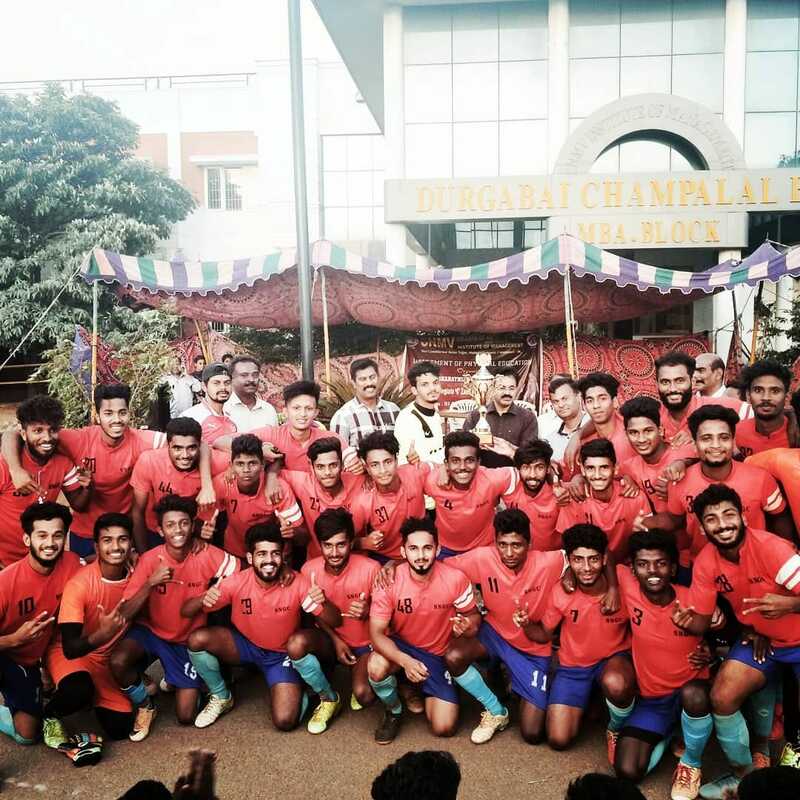 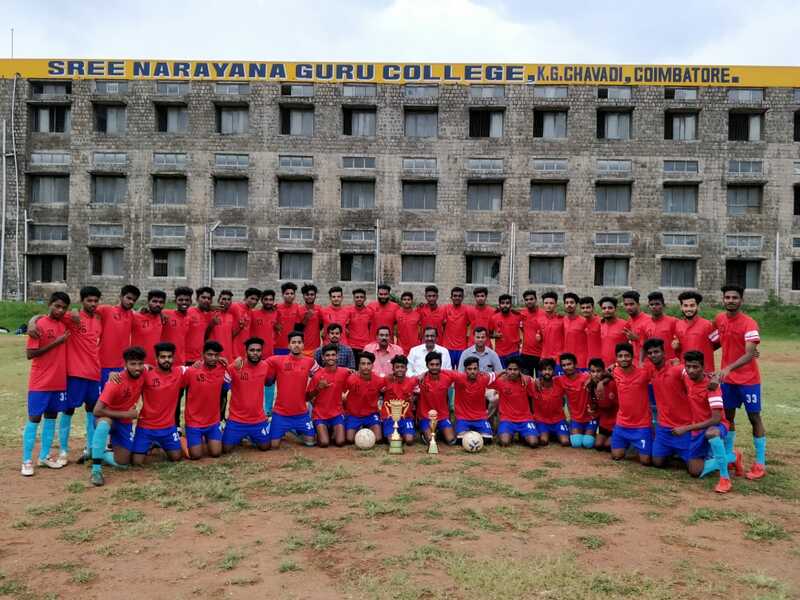 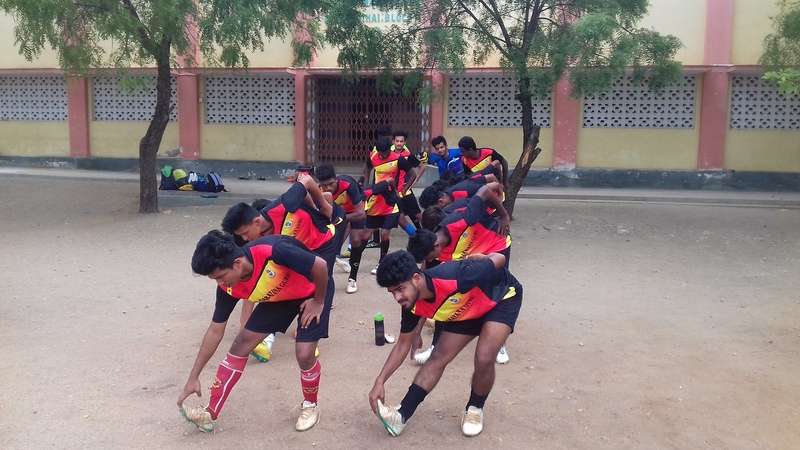 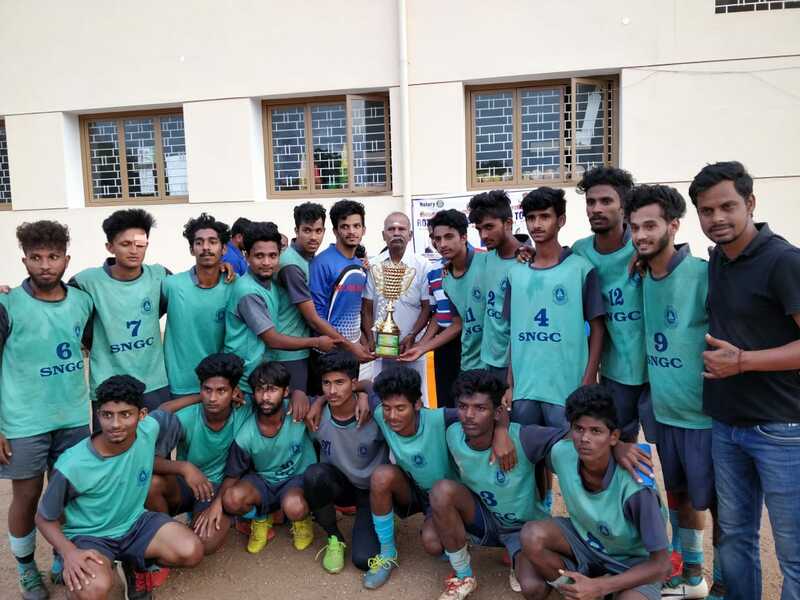 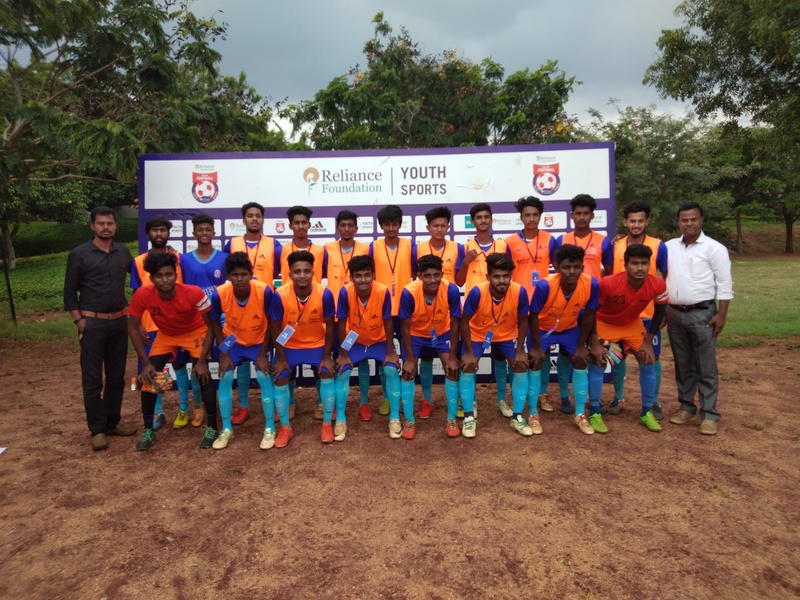 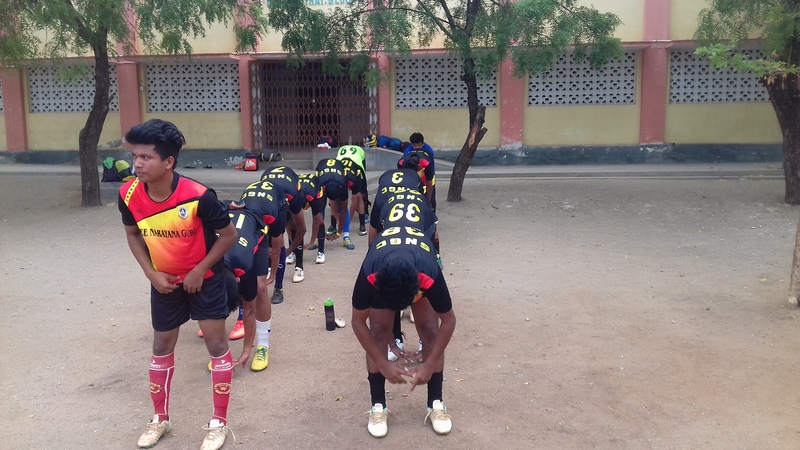 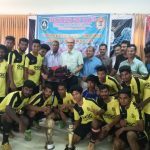 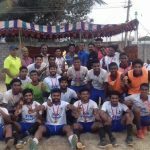 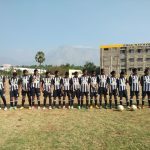 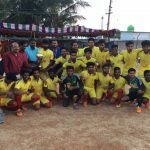 Our college Football, Cricket, Kho Kho, Handball and Kabaddi teams participate in Bharathiar University tournament, and invitation tournament in Tamil Nadu and Kerala and the tournaments conducted by various clubs as well as Associations. 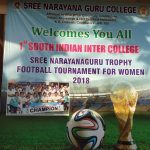 The special training and coaching is being given in the morning and evening regularly and special camps are organized before each tournament. 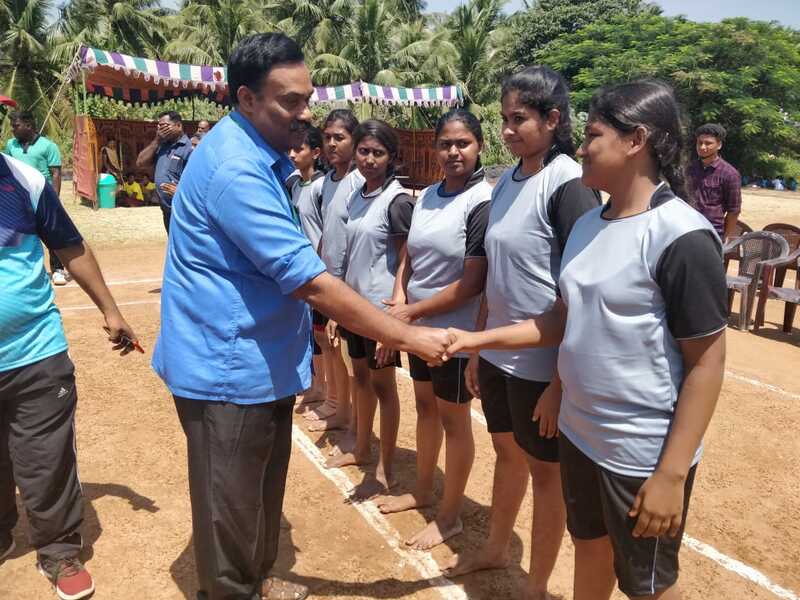 Special considerations are given to the outstanding sports persons who represented State or Nationals. 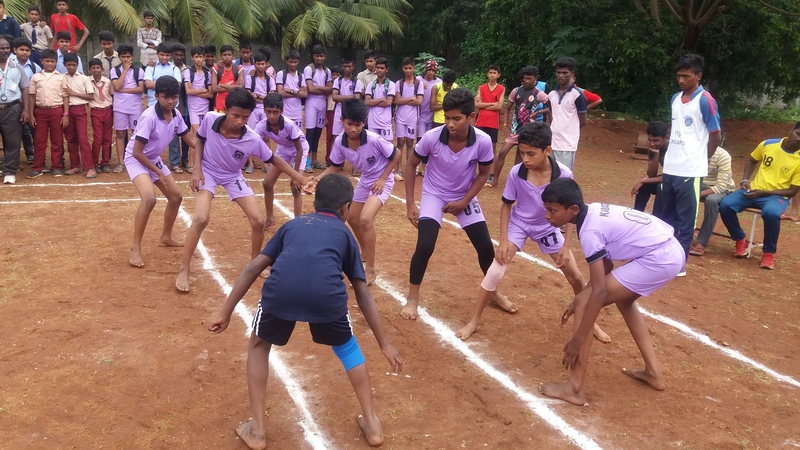 They are provided with 50% concession according to their performance. 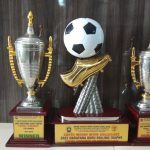 To encourage the players management offers special cash awards for the University, State and National players. 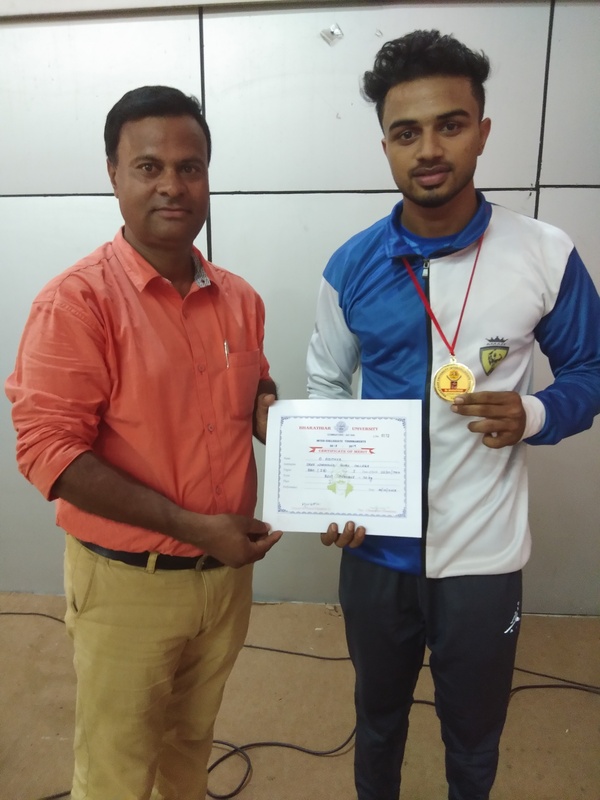 SNGC has produced one Inter- National Player (Ms. Sindhu , B.Sc CS was honoured during the Gold medal performance in 50 mts Sports Rifle Prone Position Shooting in SAF games held at Islamabad Pakistan 2005) , nearly 20 national players and 92 University players in various games so far. 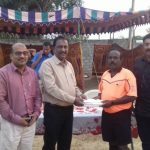 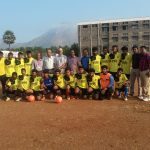 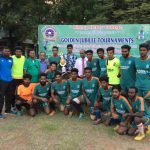 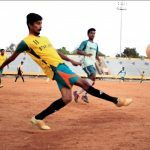 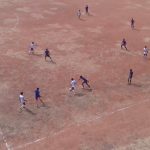 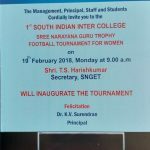 SNGC conducts South India football tournament every year. 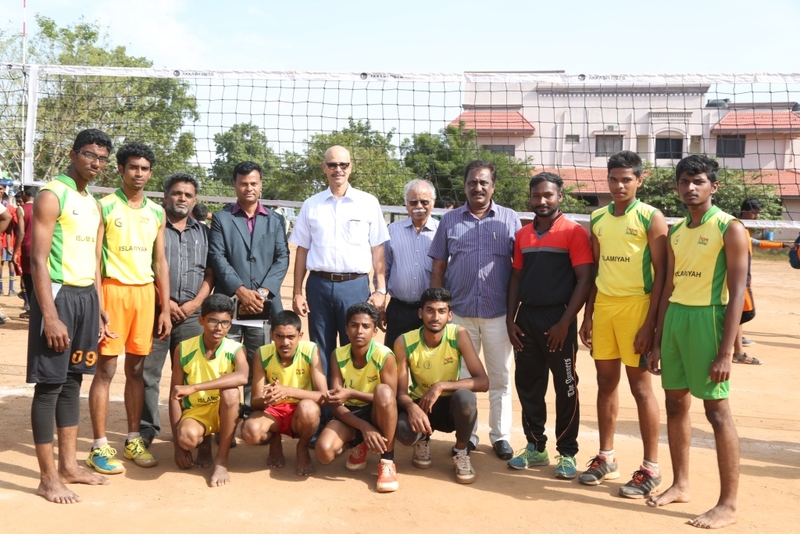 Every year 20 to 24 top ranking teams from Tamil Nadu, Kerala and Karnataka take part in the tournament. 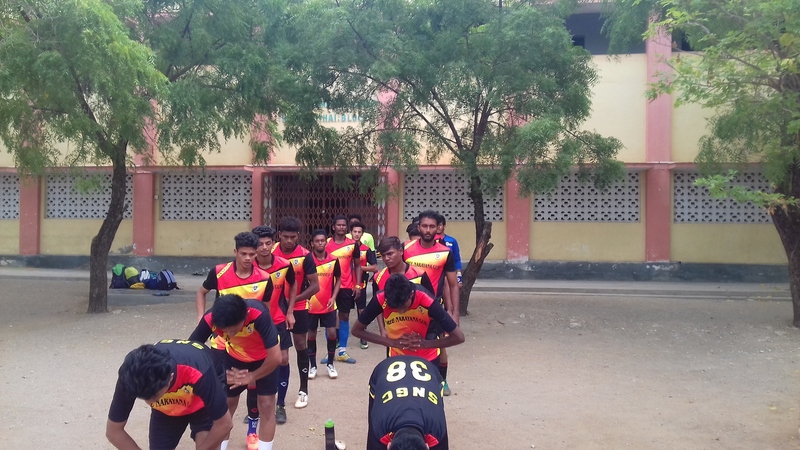 Tamilnadu Sub Junior Football Team Selection trains and coaching camp conducted our institution from 27-07-2018 to 10-09-2018. 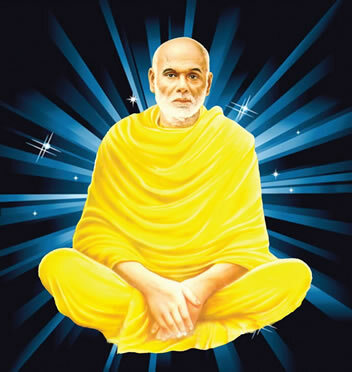 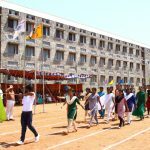 164th Sree Narayanaguru jayanthi sports meet conducted in our institution on 04-08-2018. 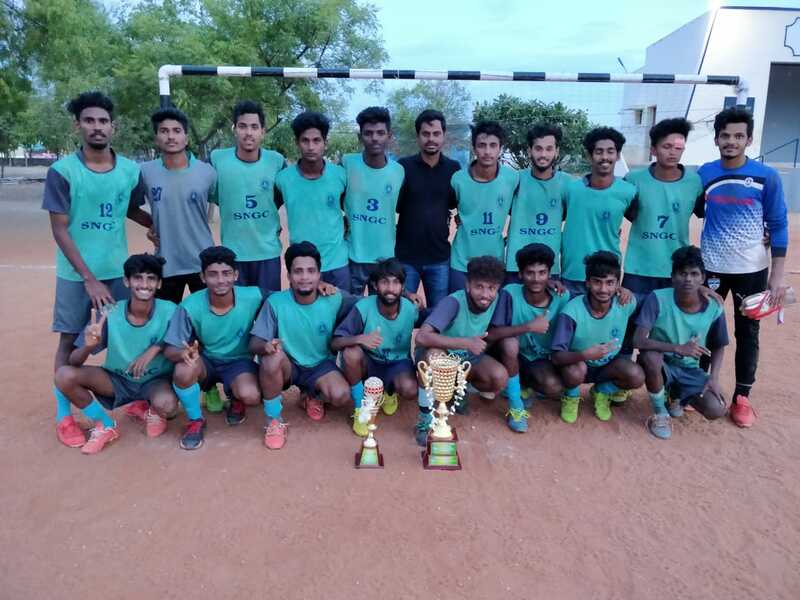 Our college football team secured runner up for the 42nd A.K.P. 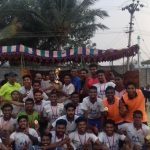 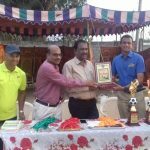 trophy state level football tournament at sivakasi from 11-08-2018 to 12-08-2018. 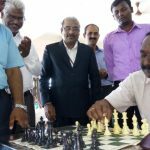 S Ravi chandran of III B.Sc. 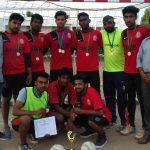 Biotechnology selected to CPISRA world games 2018 football at spain. 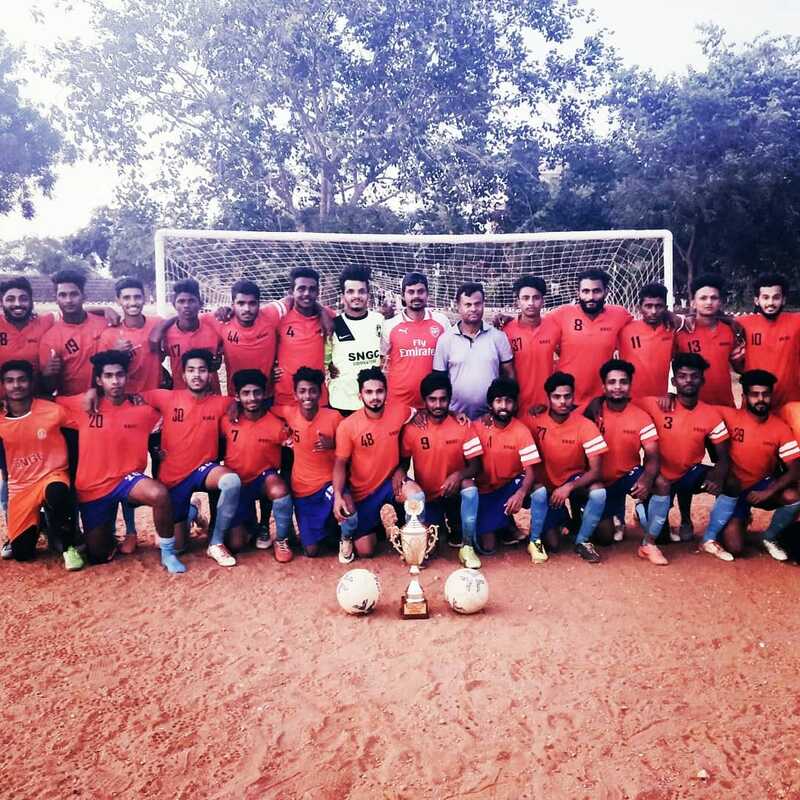 Our college football team secured first place in BUICT football tournament at Nehru CAS. 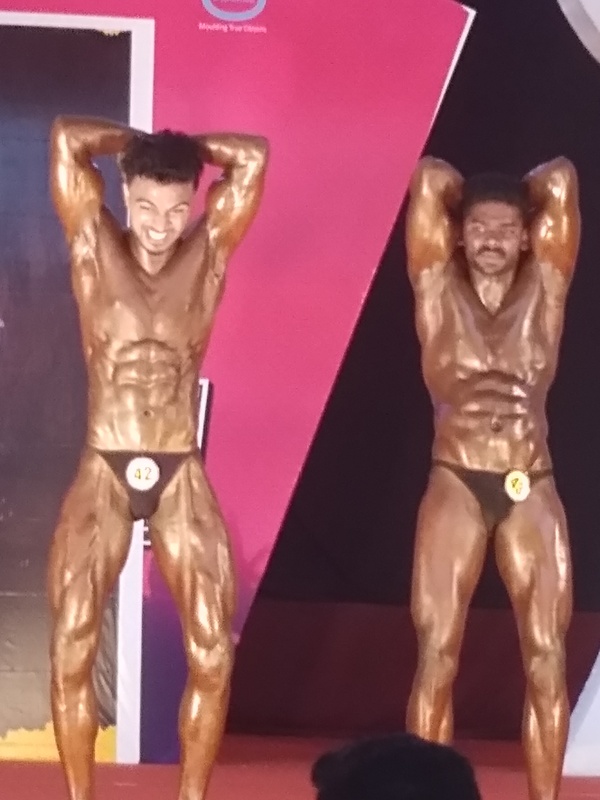 Our college best physique team adithya I BBA secured gold medal BUICT at nehru CAS on 10-10-2018. 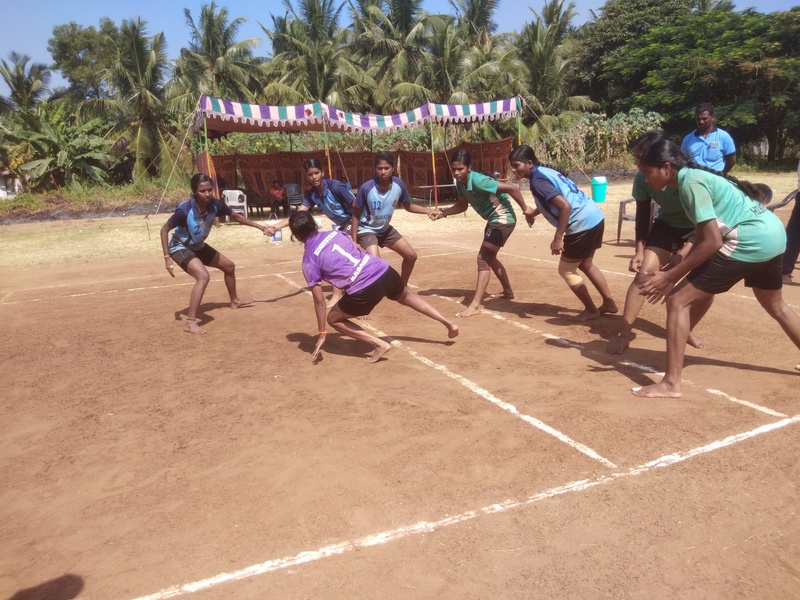 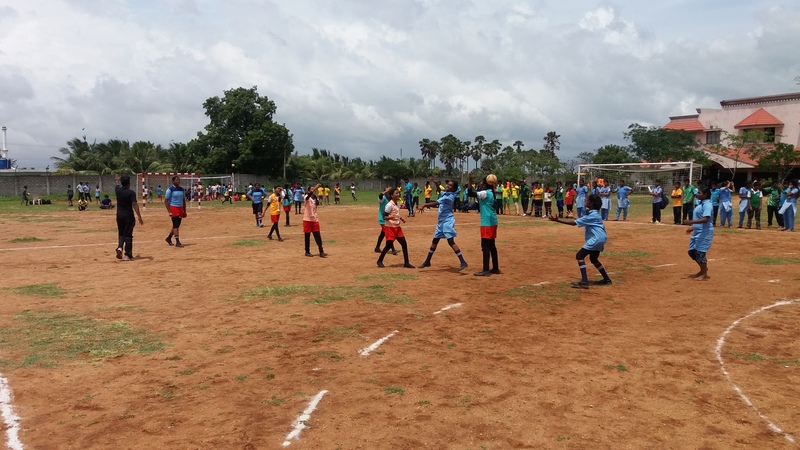 Bharathiar university inter college women kabbadi tournament conducted our institution from 10-10-2018 to 12-10-2018. 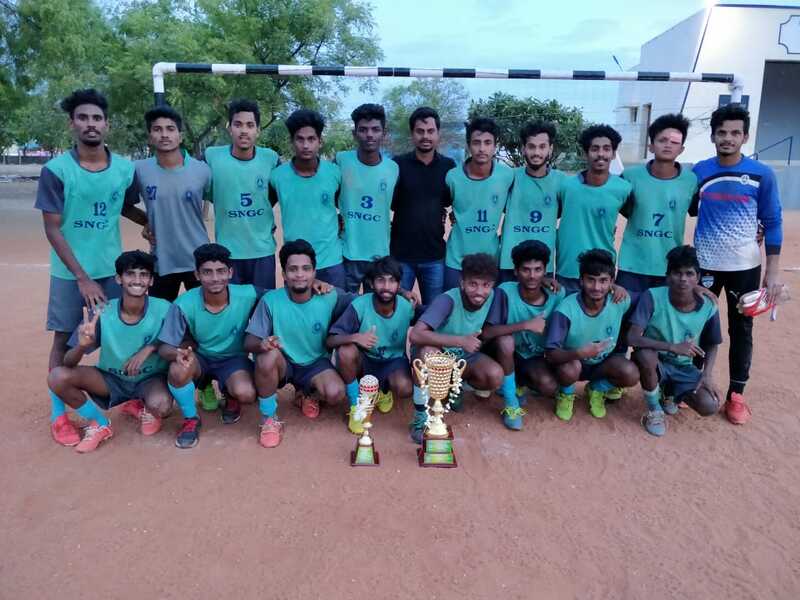 Our college athletic team Vishnu N Nair I Psychology secured gold medal BUICT at nehru stadium from 15-10-2018 t0 17-10-2018. 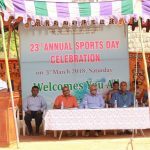 On the 3rd of March 2018, SNGC celebrated the 23rd Annual Sports Day. 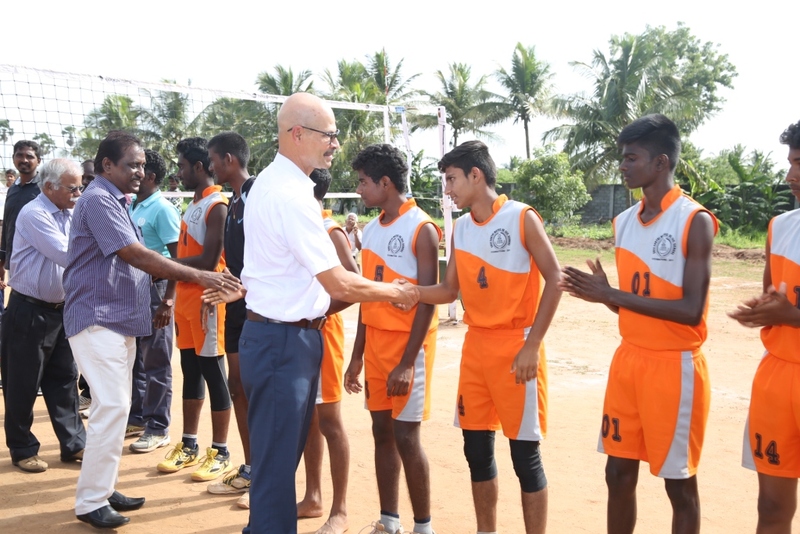 The chief guest Dr. T.R.Krishnan, Vice-Chairman, Sree Narayana Guru Educational Trust, hoisted the National Flag and delivered the presidential address. 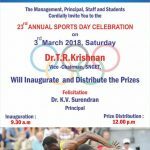 Dr. K.V. 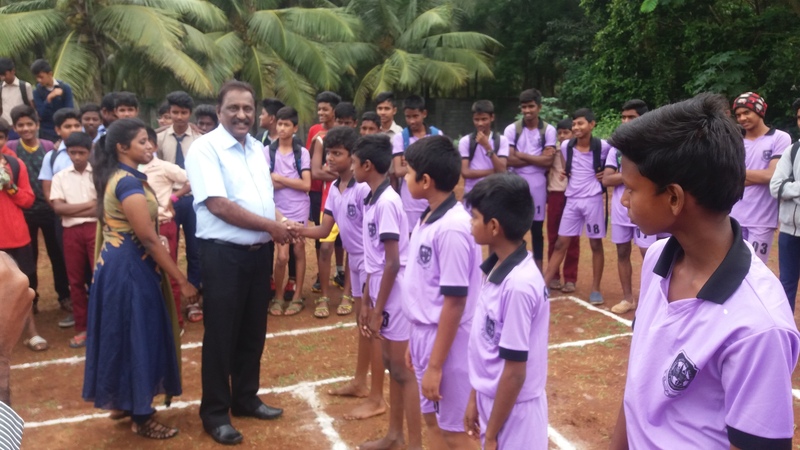 Surendran , Principal, felicitated the gathering. 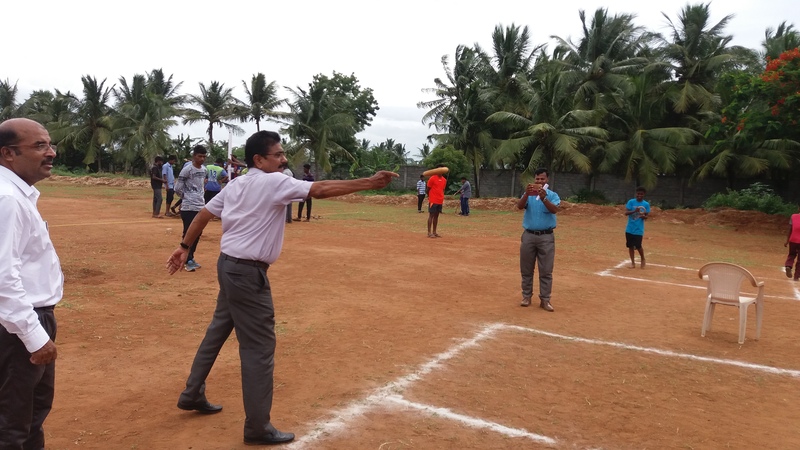 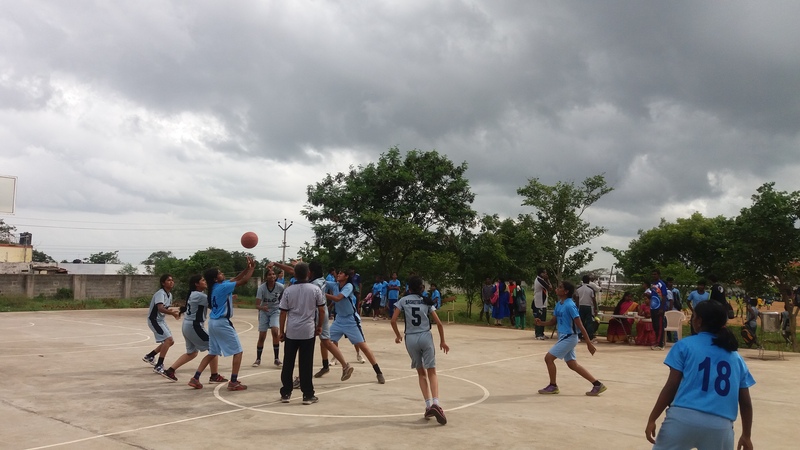 Staff and students actively participated in the sports events and the Chief Guest Dr. T.R. 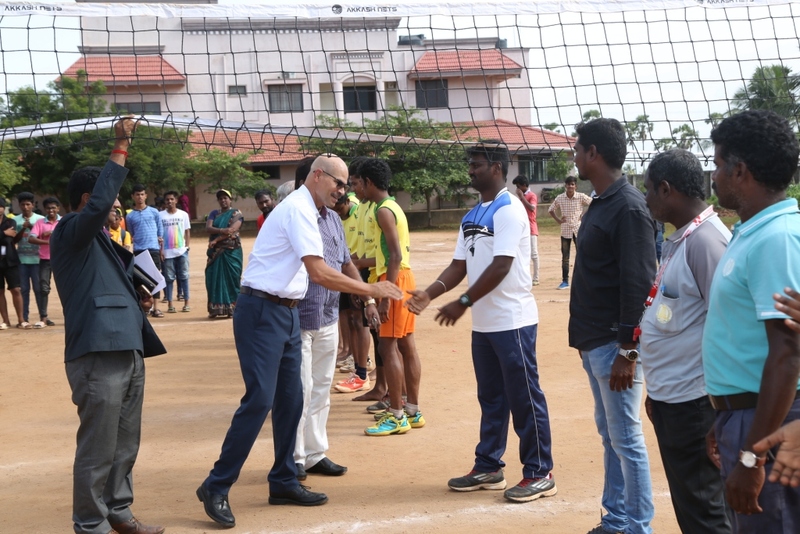 Krishnan distributed the prizes for the winners. 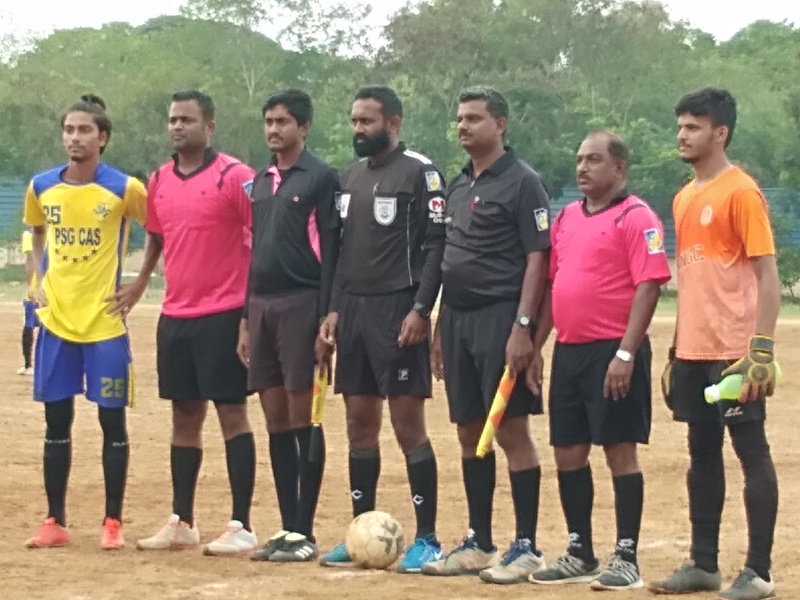 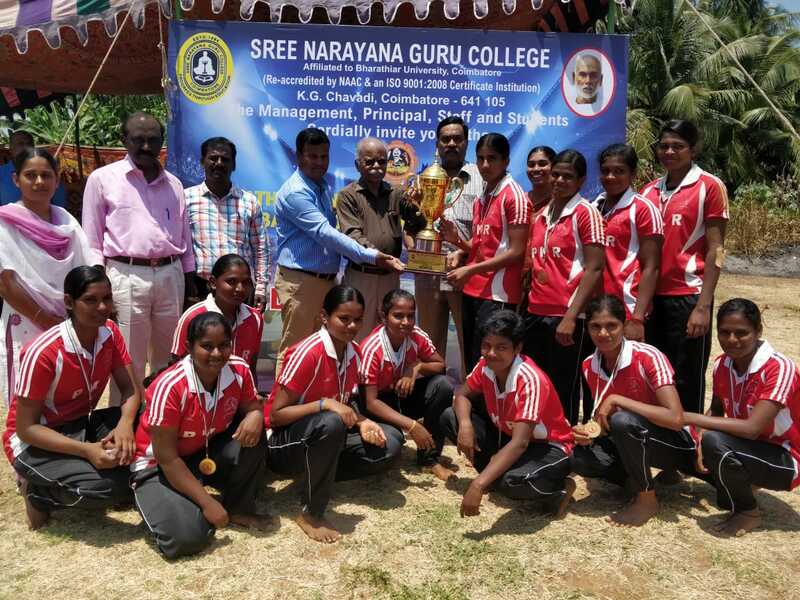 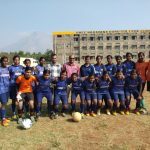 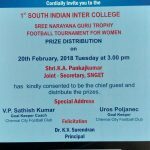 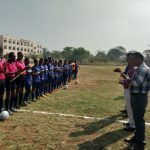 Ist South India Inter College Women’s Football Tournament, Feb. 2018. 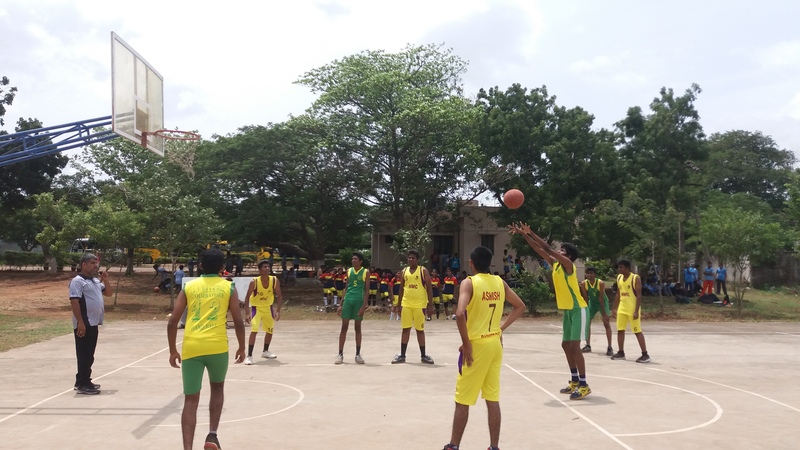 Every year, our college organizes South Indian Inter collegiate and Inter school football and basketball tournaments.